Oregon Freeze Dry was not getting what it needed from their IT organization. They engaged VIE for an outside perspective in assessing their IT capabilities. Over time, with VIE’s help the IT organization has turned into a true business partner. Portland Community College had severe challenges with their IT infrastructure. Engaging VIE helped to address several key issues that had been troubling for a few years. Aronson Security Group has been growing fast over the last few years. As a result, their IT resources have been stretched and strained. ASG engaged VIE for needed advice on how to scale up effectively to support business needs. 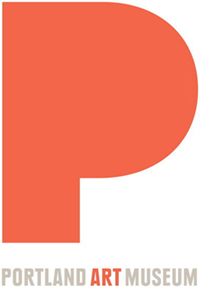 The Portland Art Museum engaged VIE to perform an IT organizational assessment, and also provide an Interim CIO to help solve critical issues. VIE recommendations created the foundation for IT success at the Portland Art Museum. Greycourt engaged VIE to perform an IT organizational assessment and provide a part-time CIO to help solve critical issues. VIE recommendations and work has improved IT service levels substantially. Con-way was looking to transform its IT infrastructure organization through alternative sourcing strategies and implementation of service management methodologies. They engaged a VIE consultant to advise on the best path forward. The College of Marin needed capable IT leadership immediately. They engaged a VIE consulting CIO to take charge and start working with the IT team on completing critical projects. In 2007, Oregon Catholic Press was dissatisfied with the performance of the IT department. They were concerned about the lack of progress on many business/IT initiatives and IT leadership in general. 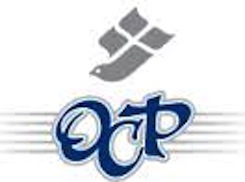 Oregon Catholic Press engaged VIE for an outside assessment of OCP’s IT capabilities. The Oregon Department of Revenue (DOR) engaged VIE to perform a security assessment to identify critical issues with its Taxpayer Self-Sufficiency (TPSS) Initiative. VIE recommendations have created the foundation to ensure secure online taxpayer services at DOR. Genesis Financial Services had suffered outages in their in-house data center. They engaged a VIE CIO Consultant to put them on the path to much improved IT services. Clatsop Community College engaged a VIE Project Manager to help them co-ordinate their efforts to implement critical functions of the Rogue/Net ERP System (called SeaNet at CCC) by the July 1 target.